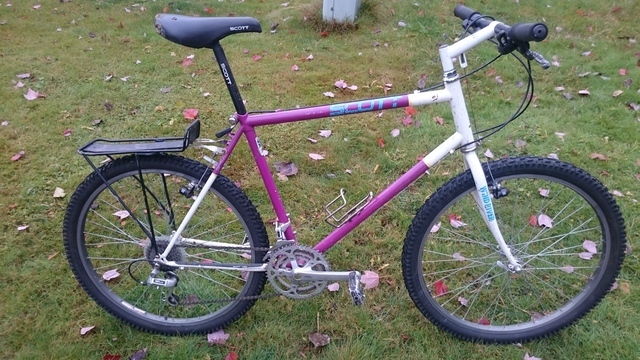 Like new nobby tires, 21 speed, has a rack and works just fine. Oh, and it's old school awesome purple! Probably fits 5 foot something to 6 foot something.